We deconstruct masculinity so we can be more of the person we’d like to be in the world. For me, the exploration of masculinity is interesting because of how it relates to a deeper mission of mine, wanting to help all people feel natural and confident being themselves. There are so many hidden expectations and cultural forces that influence our beliefs about who we need to be as men. According to the identity model of change, people do the things (behavior) that align with the type of person they think they are (identity). Simply said, who we think we are influences what we do. If we subconsciously accept the external definitions and expectations of masculinity, we sacrifice a piece of our essence, our authentic selves to act out these tropes. Get out a notebook with two fresh pages. On page-1, write “masculine” at the top. Take 60-seconds to write down all of the characteristics and traits that you associate with the masculine. Don’t overthink, just write what comes up. After you’re done, go to page 2 and write “feminine” at the top. Same thing, take 60-seconds and write down all the characteristics and traits that come up for you without overthinking. Which of these traits to you want to express consciously? Which of these do you want to avoid or minimize in your life? How do these associations impact how you show up in the world? Outside of the exercise, simply asking questions about masculinity is a powerful way to explore the hidden identity that influences who we are in the world. What does it mean for you to be a man? What does the term “alpha male” mean to you? What are the pressures and expectations that you feel society places on you as a man? At the end of the day, the conversation about masculinity is just about helping people gain a deeper understanding of who they really are and what they are here to do in the world. Once people touch a deeper truth that is already inside them, it becomes easier to bring that out into the world. 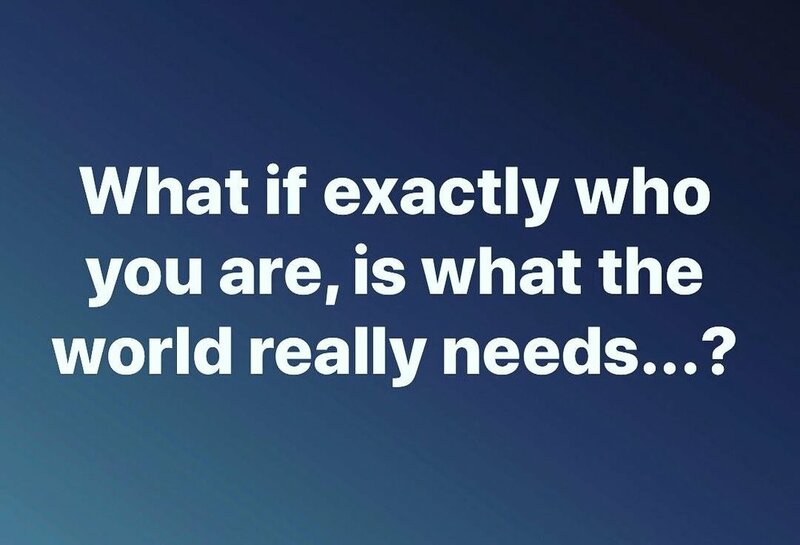 What if exactly who you are is precisely what the world needs most?